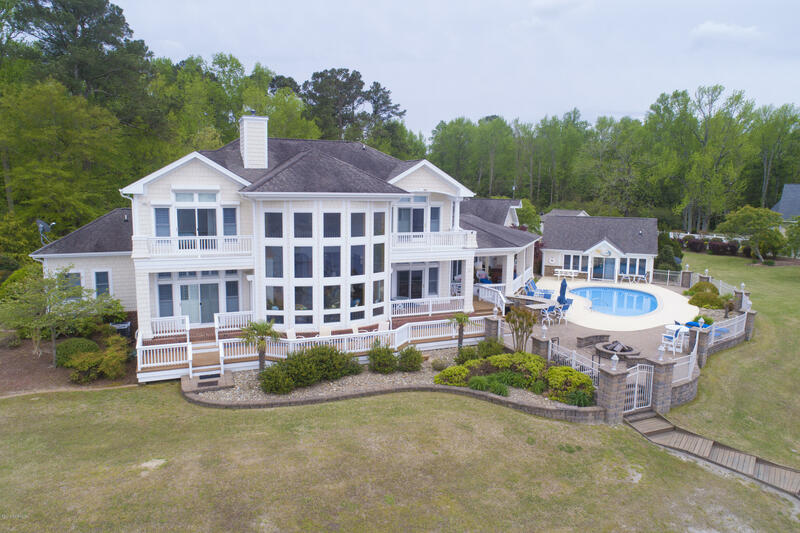 Stunning waterfront estate, over 800' of shoreline on the Pamlico. Sits atop one of the highest bluffs in Beaufort County with an incomparable view. 4.5 acres creates amazing privacy. Main house with 4BR, 3.5BTH, & 2 car garage, circular drive. Has outdoor kitchen, hot tub, pool, pool house/ efficiency, gazebo, garden house, playhouse with zip line, large workshop. Dock / pier with boat lifts. I would like more information about 4381 Maules Point Road in Blounts Creek.